I read this article and found it very interesting, thought it might be something for you. 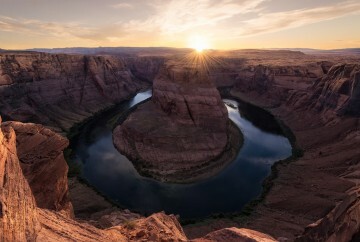 The article is called Tips to visit the Grand Canyon in a day – Get the most out of a short trip and is located at https://capturetheatlas.com/visit-grand-canyon-tips/. First of all, just a simple reminder: You will not be alone. Tourism in Grand Canyon National Park is much larger in scale compared to other national parks in the United States. It is estimated that 5 million tourists visit the Grand Canyon every year. The Grand Canyon is located in Arizona. 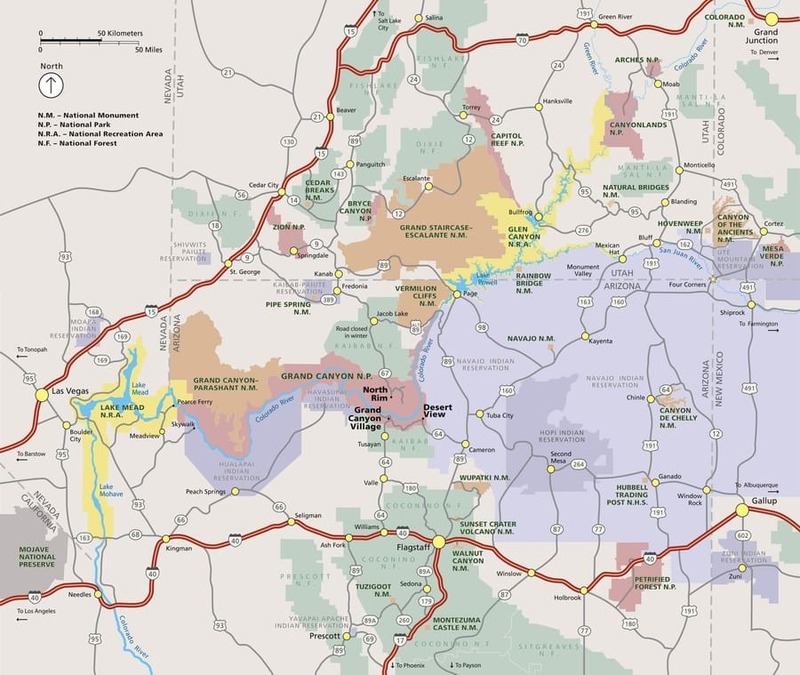 Refer to this map if you want to see its location in relevance to other US National Parks. 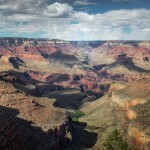 We spent a day in the Grand Canyon of Arizona during the ten days of our West Coast America road trip. We were initially going to spending more days there but managed to make the most of our experience in a shorter time. 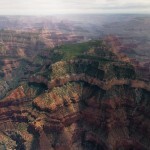 Now, we share with you the top things to do in Grand Canyon in a day. 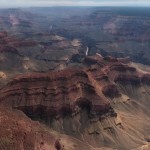 In this Grand Canyon blog post you will find all the information you need to plan your visit. 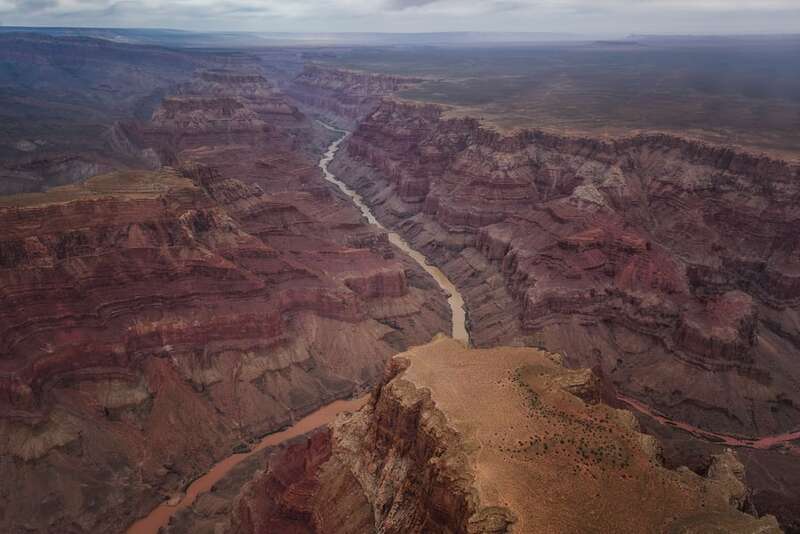 It will be very useful whether if you are just taking a stop on your Route 66 trip in the Grand Canyon, visiting with children, plan to descend the canyon to experience the Colorado River, or even if you fancy flying over the Grand Canyon by helicopter or plane. What is the Grand Canyon South Rim? What is the Grand Canyon North Rim? Which is better to visit? Grand Canyon South Rim or North Rim? 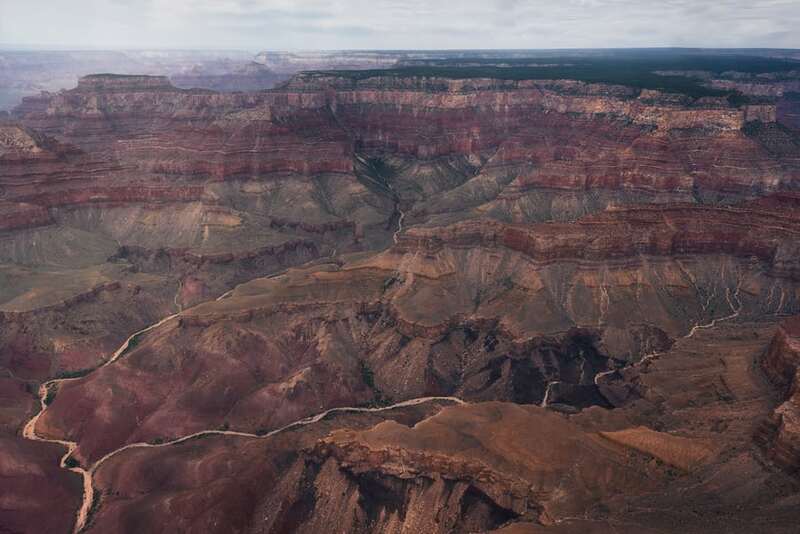 What is the Grand Canyon West Rim? 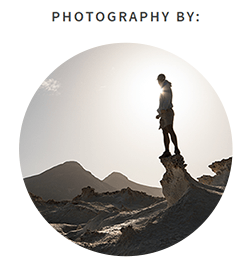 Click on this symbol throughout the article ♣ to return to the index. WHAT IS THE GRAND CANYON AND HOW DO I PLAN MY VISIT? 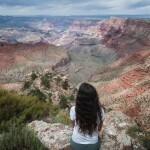 – GRAND CANYON SOUTH RIM OR NORTH RIM? The Grand Canyon is an enormous 277 miles long and 457 feet deep canyon that has been shaped by the Colorado River through the Colorado Plateau over millions of years. 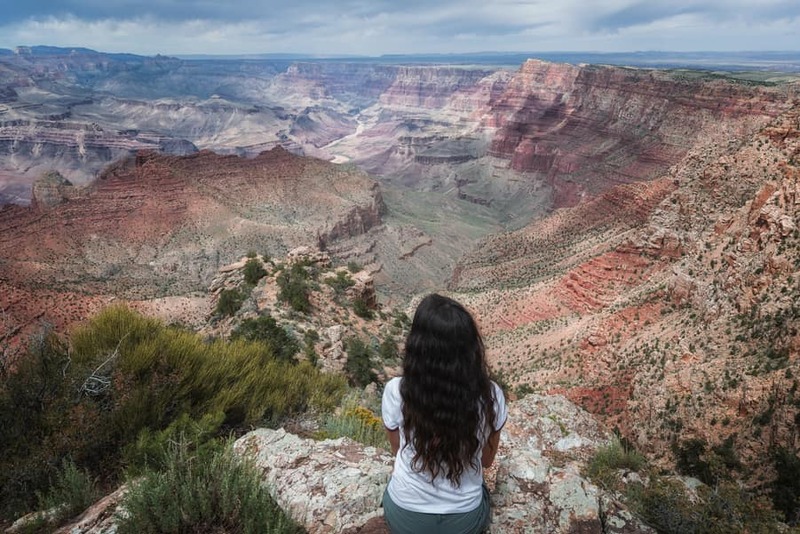 It is almost impossible to visit this vast extension in its entirety, therefore, one of the first thing you should decide is whether to start at the South Rim or North Rim of the Grand Canyon. The Grand Canyon South Rim is the most popular amongst tourists. Here, you will find the main viewpoints and the start of the most exciting hiking routes. At the same time, it might be stressful to visit this area during peak season (from June to September) merely due to the large wave of visitors who come to contemplate this wonder of the world. 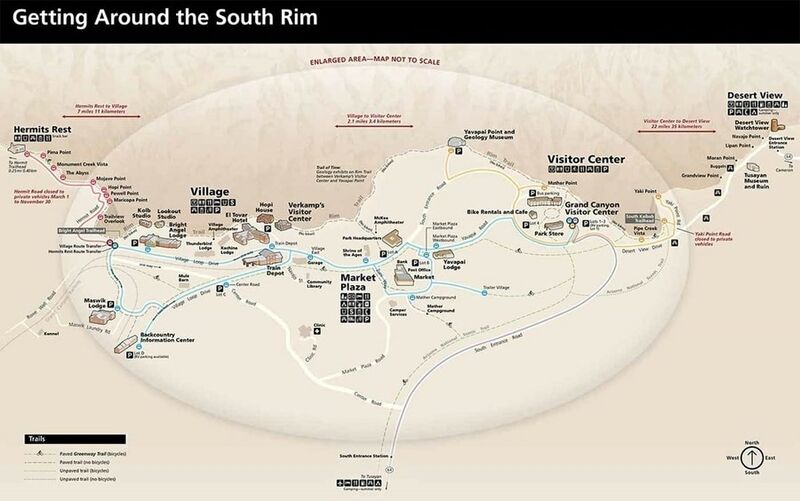 You can enter the South Rim through its south and east entrances. Grand Canyon Village is simply known as South Rim. Here in the most touristy part of the park, you will find most of the accommodation, shops, restaurants, viewpoints, etc. Grand Canyon Village is located 62 miles from the town Williams, and you can get there via the southern gateway of Tusayan. The Grand Canyon East Rim, which is located within the South Rim, is mostly visited by those who come from the east. From the town Cameron, you can enter the Grand Canyon National Park through Desert View, a historic area where the scenic road Desert View Drive starts. This road borders the edge of the canyon and takes you to the Grand Canyon Village. In this area of Grand Canyon, there are fewer services, but the views are very similar to those in the Grand Canyon Village. The Grand Canyon North Rim only opens from mid-May to mid-October. If you prefer to see the place away from the crowds that would be concentrated in the South Rim during summer time, then you may be more interested in the North Rim. However, keep in mind that there are fewer viewpoints here than in the South Rim area and most of the views are not as spectacular. Also, if you are planning to descend to the Colorado River from the North Rim, the path down would be longer. 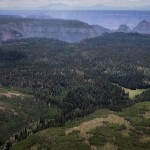 The nearest town to the North Rim is Jacob Lake, 30 miles north of the entrance. 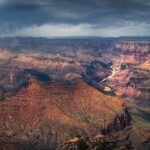 VISIT THE GRAND CANYON NORTH RIM OR SOUTH RIM? 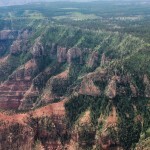 Still not sure whether to visit Grand Canyon North Rim or South Rim? If you’re traveling with minimal time, I recommend heading to the south ridge to see the best-known views of the Grand Canyon (Grand Canyon Village or East Rim). If you have more time, it might be worth visiting the North Rim also. 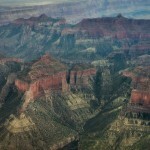 Grand Canyon West Rim, the western area of the South Rim, is becoming more popular among visitors. This area, however, is not part of the Grand Canyon National Park, but rather, administered by the Hualapai tribe. 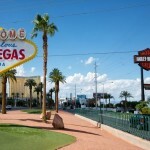 From Las Vegas, it is only 2 and a half hours since it is only 118 miles to West Rim compared with the distance between Las Vegas and the Grand Canyon Village of 350 miles to Grand Canyon Village. Many people who visit Las Vegas that don’t have enough time for the Grand Canyon can visit this area within a day. The highlight of the Grand Canyon West Rim is the Skywalk Grand Canyon West, a floating glass walkway that overlooks the edge of the canyon. If you asked me whether to see the West or South Rim, I would still go for the south, since it is part of the National Park and is not a private tourist attraction, making its cost significantly lower. Besides, those who have visited both the West and South Rim seem to agree that the South Rim is much more impressive. We hope this was a clear overview of what the Grand Canyon is and which are the main accessible areas that can be visited. Now, let’s continue with even more useful information for your visit! If you are in Las Vegas for a short time but want to visit the Grand Canyon, it is best to hire one of the many Grand Canyon tours from Las Vegas that will take you closer to the West Rim. If you’re looking for a cheap Grand Canyon tour, I encourage you to book this day tour to the Grand Canyon West Rim by bus. 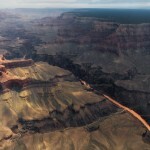 If you prefer to fly over the Grand Canyon, check out this Grand Canyon helicopter tour. 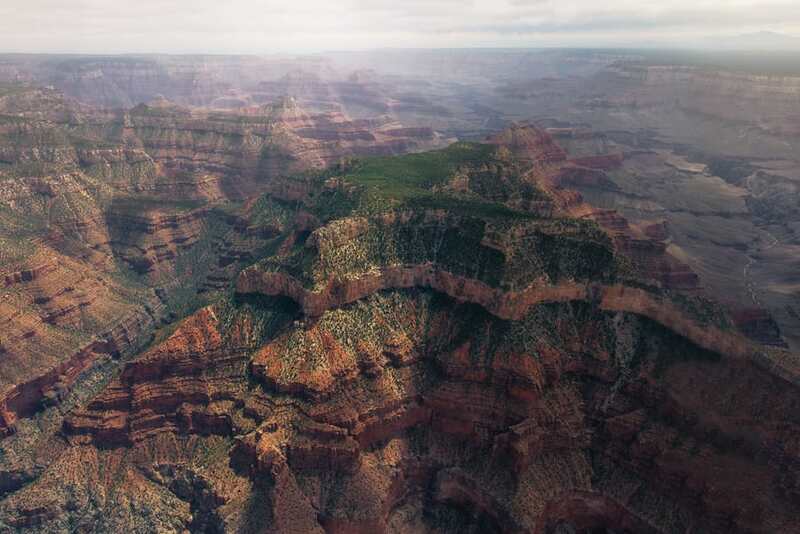 You will visit the West Rim as part of the tour, but you have different options that will vary the price of the Grand Canyon helicopter tour. 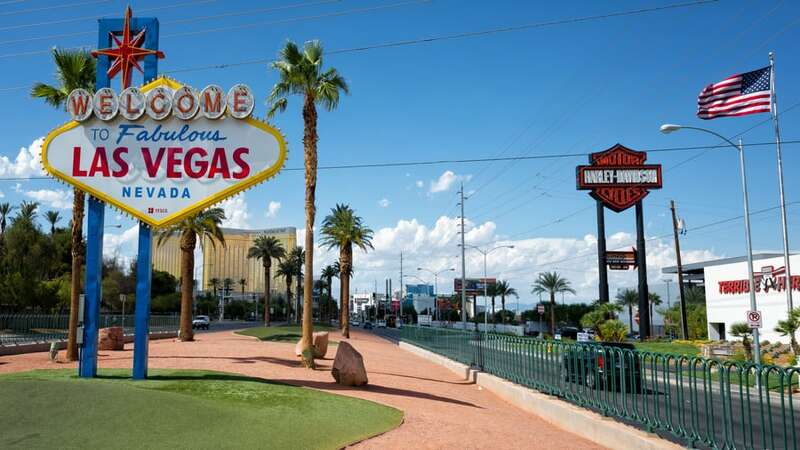 For example, it is more expensive if you want the helicopter to land at the base of the canyon by the Colorado River or if you want to fly over the Strip, the most famous street in Las Vegas. If you want the authentic Grand Canyon National Park experience (which is the most beautiful area anyway), then I recommend taking this tour that include an airplane ride to Grand Canyon Village through the West Rim, a 25-minute helicopter ride over the South Rim, and a minibus ride to explore the main viewpoints of the canyon. If you have decided to go to the Grand Canyon on your own, whether to save money or because you are on a Route 66 road trip, in the Grand Canyon you must have a rental car. It is possible to reach the Grand Canyon by car. However, you will have to use shuttles between different viewpoints in some areas of the park, as we will discuss in the following sections. 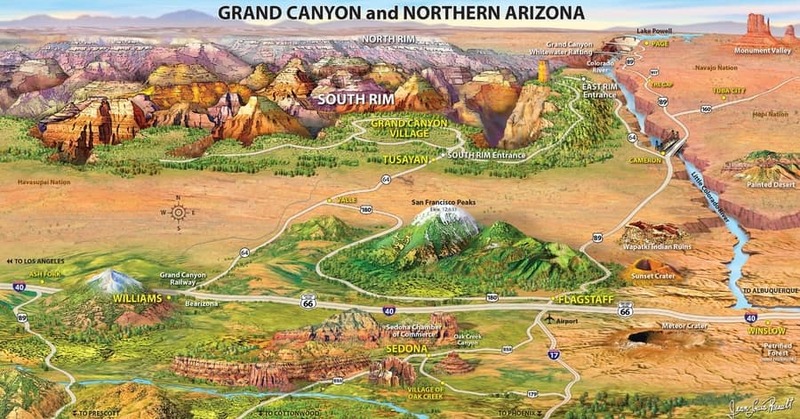 In this section, we are going to focus on how to get to the Grand Canyon from various places. The closest international airport to the Grand Canyon is located in Las Vegas. However, depending on which area of the Grand Canyon you want to go, the amount of time it takes to get there will vary. What is known as the West Rim of the Grand Canyon is close to Las Vegas. It will take only two and a half hours to get there. 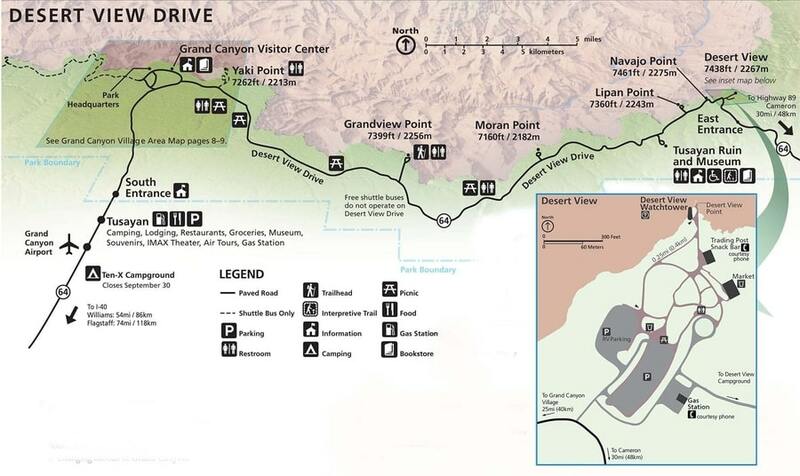 However, if you want to visit the Grand Canyon Village, it will take more than 4 hours since the distance between Las Vegas and the south entrance is 279 miles. If you happen to be on a road trip across Route 66, you may have wondered how to get to the Grand Canyon from Los Angeles, or the other way around. If you are entering the Grand Canyon from North Rim or West Rim, you will inevitably have passed through Las Vegas, so add 4 hours to your route compared to the previous section. 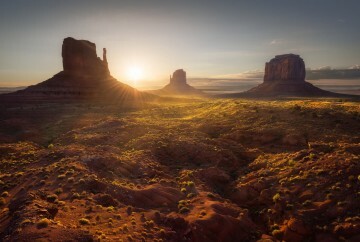 The eastern entrance of the Grand Canyon is quite close to Monument Valley, therefore, many consider visiting Grand Canyon and Monument Valley in one day. Although it is only 2 and a half hours from the Grand Canyon to Monument Valley, considering that we would enter through Desert View, I recommend more than a one-day visit if you also want to see this area. 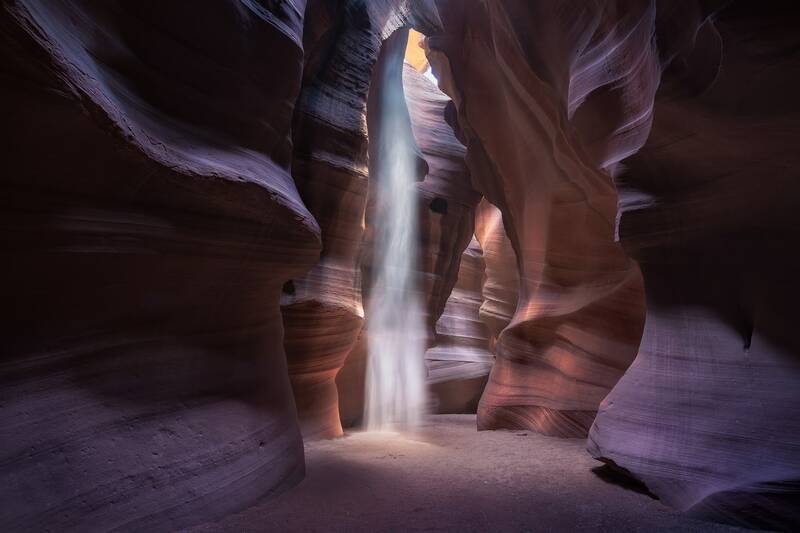 Antelope Canyon in Page is another place of interest located just a short distance from the Grand Canyon, just two hours from the east entrance or two and a half hours from the North Rim. 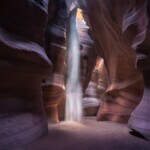 For us, the main stops in this area of our trip were the Grand Canyon and Antelope Canyon. As you can see, they are quite close to each other. This information about the Grand Canyon is essential if you are going to visit the Grand Canyon National Park by yourself. Among other tips for visiting the Grand Canyon, you will learn how to get around the park, tickets, and passes, as well as Grand Canyon entrance fee. 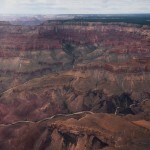 There are many different points of interest within Grand Canyon National Park. Some are accessible by car while others can only be reached using a free bus service available for visitors. These are the shuttle services available for moving around the South Rim in the Grand Canyon Village area. Village Route (blue): It connects the Visitor Center with hostels, campsites, and other facilities within Grand Canyon Village. Kaibab Rim Route (orange): Quickest way to get from the Visitor Center to the most popular views of the canyon on the eastern border of Grand Canyon Village (it does not reach the East Rim, where we will need to get to by car). Throughout the year, this route stops at Yaki Point, and South Kaibab Trail can only be reached by taking this bus. Hermit Road Route (red): Exceptional panoramic views on the western border of the Grand Canyon Village (it does not reach the West Rim, where we will need to get to by car). Hermit Road is closed to private vehicles from March 1 to November 30, making the use of free buses mandatory during these dates. 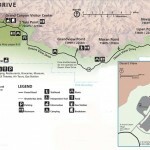 Details of these bus routes can be found in the map of the Grand Canyon below. Keep in mind that both the Village Kaibab Rim Route (except for Yaki Point and South Kaibab Trail) can be done by car instead of by bus. However, it is not recommended to do so in high season as it is usually difficult to find parking. The Grand Canyon National Park fee (from North Rim, South Rim, or East Rim) is $30 per vehicle with up to 5 passengers or $15 per entry per person entering without a car. A purchased ticket is valid for seven days. 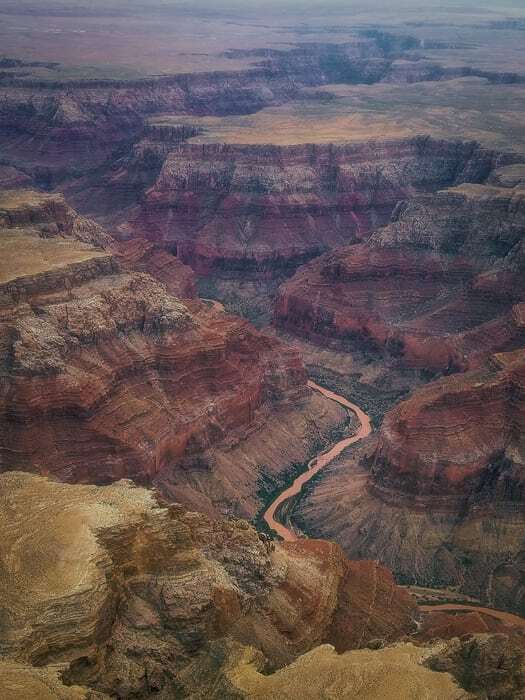 If you plan to travel to different National Parks of the United States, I recommend getting an annual America the Beautiful pass, which includes your visit to the Grand Canyon and other US National Parks at no extra cost. 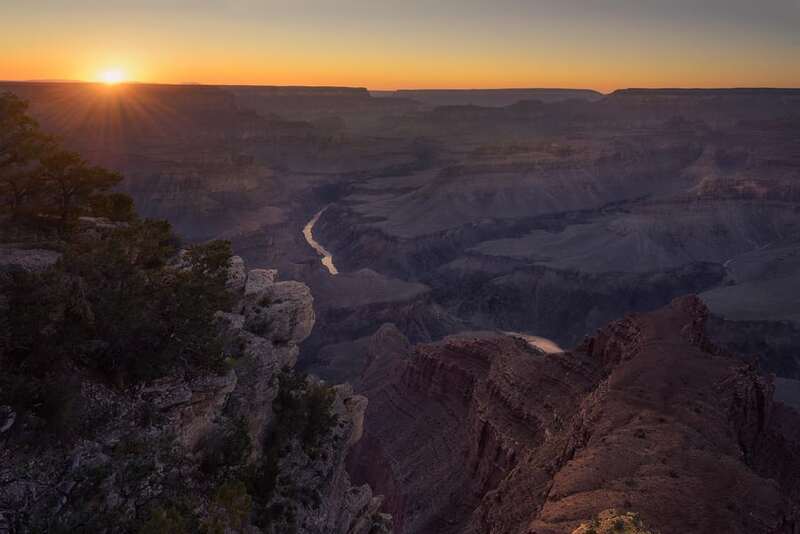 Regarding Grand Canyon opening hours, you may be surprised to learn that South Rim is open all year, 24 hours a day. 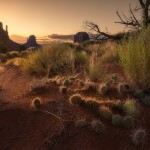 In addition, services such as campsites, accommodation, or restaurants in the Grand Canyon are available all year round. On the other hand, North Rim closes during a significant part of the year because of snow. North Rim is open from mid-May to mid-October. The snow here does not get plowed during the winter, therefore, it will close after the first snowfall of the season. 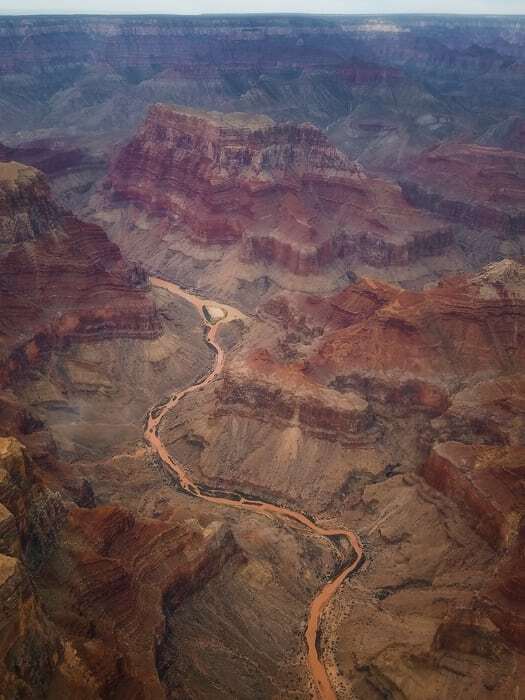 There are many activities to do in the Grand Canyon – visiting the main viewpoints, hiking, flying over the Grand Canyon by helicopter or airplane, and even rafting in the Colorado River across the Grand Canyon. 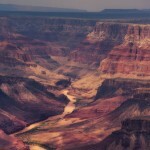 In this section, we will talk about everything you have to do and to see in the Grand Canyon. However, I recommend that the first thing you do when arriving at this wonder of the world is head to the Grand Canyon Visitor Center for the most updated information. 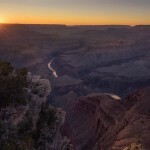 If there is something in common amongst the 5 million visitors that visit the Grand Canyon every year, it would be that everyone rushes to find the best views of the Grand Canyon from one of the different lookouts at any time during daylight. It is impossible to visit all the Grand Canyon Viewpoints, and I do not recommend it either. Most of them have more or less similar views. 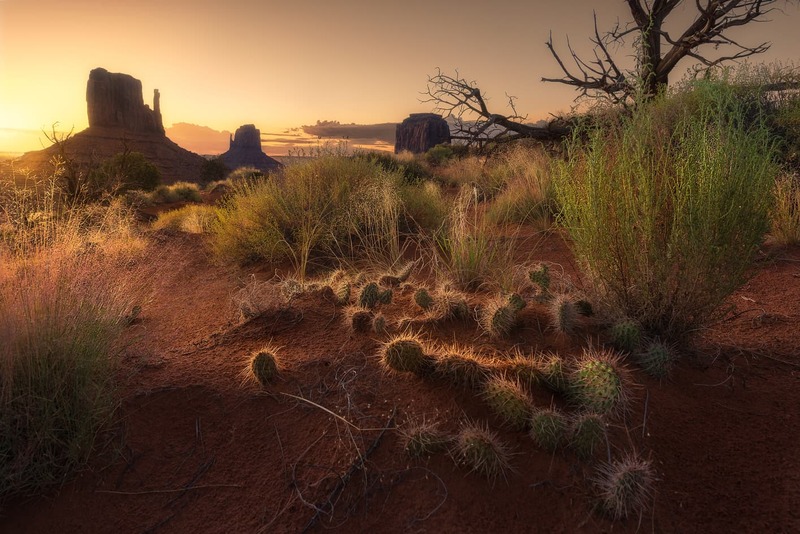 The best way to go about it, is visiting three or four viewpoints close to the Grand Canyon area that you are going to visit, and perhaps choose where you want to see the sunrise or sunset more selectively. 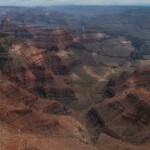 We will consider Grand Canyon South Rim as the Grand Canyon Village area and nearby lookouts to the east and west. Kaibab Rim Route: Yavapai Point, Mather Point, Pipe Creek View and Yaki Point (Yaki Point only accessible by bus). Hermit Road Route: Overlook Trail, Maricopa Point, Powell Point, Hopi Point, Mojave Point, The Abyss, Monument Creek View, Pima Point, Hermit Rest (during the summer these viewpoints are only accessible by bus). 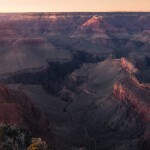 Of all these, the best viewpoint to see a Grand Canyon sunrise is Yaki Point. Mather Point is another perfect viewpoint to see the sunrise that is a little closer to Grand Canyon Village. 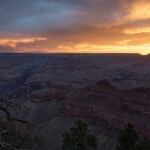 The best viewpoint to see the sunset in the Grand Canyon is Hopi Point. If it is very busy, you can also see a beautiful sunset from Mojave Point. 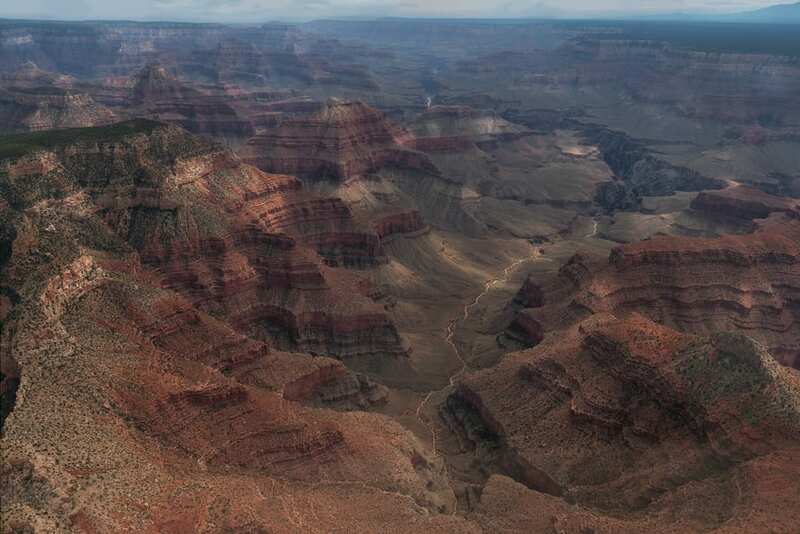 To see the location of these viewpoints, use this Grand Canyon map. These viewpoints are located across the Desert View Drive, which are more accessible if you come from the east entrance of the park: Desert View, Navajo Point, Lipan Point, Moran Point, and Grandview Point. Of these, the most interesting Grand Canyon viewpoint is Desert View, where we can find a recreation of an Indian stone watchtower, as well as the best views of the Colorado River. Since these viewpoints are quite far from Grand Canyon Village, you can enjoy the views with fewer people nearby. The main viewpoints in the Grand Canyon North Rim are Imperial Point, Cape Royal, Roosevelt Point, Walhalla Overlook, and Bright Angel Point. Located close to the main facilities, Bright Angel Point offers one of the best views of the Grand Canyon from the North Rim. If we want to see the Colorado River from here, we should go to Cape Royal. One of the best viewpoints in the Grand Canyon West Rim is Guano Point, with a 360º view of the Grand Canyon and Eagle Point, where you can also get incredible views. The best views in this area can be found along the Grand Canyon Skywalk. Another way to appreciate the magnitude of this majestic wonder is to fly over it. 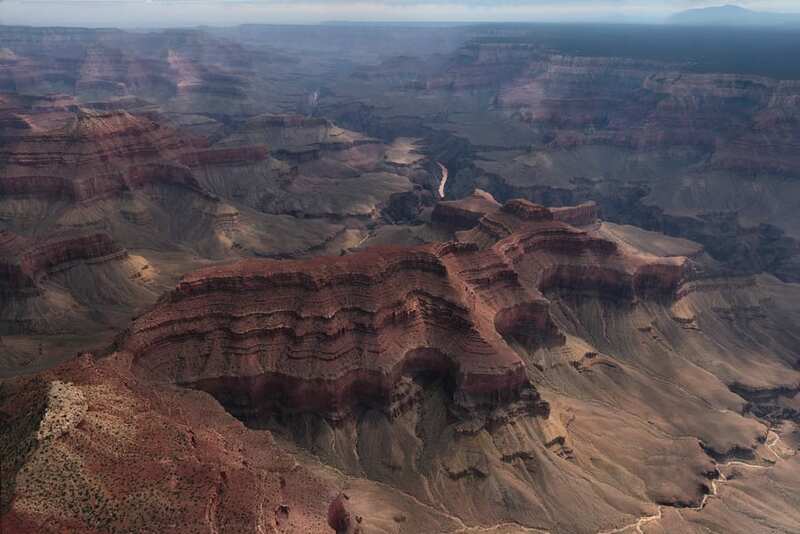 In addition to the helicopter tours in the Grand Canyon from Las Vegas, you can also take a shorter and cheaper tour by helicopter or airplane from Grand Canyon Village. 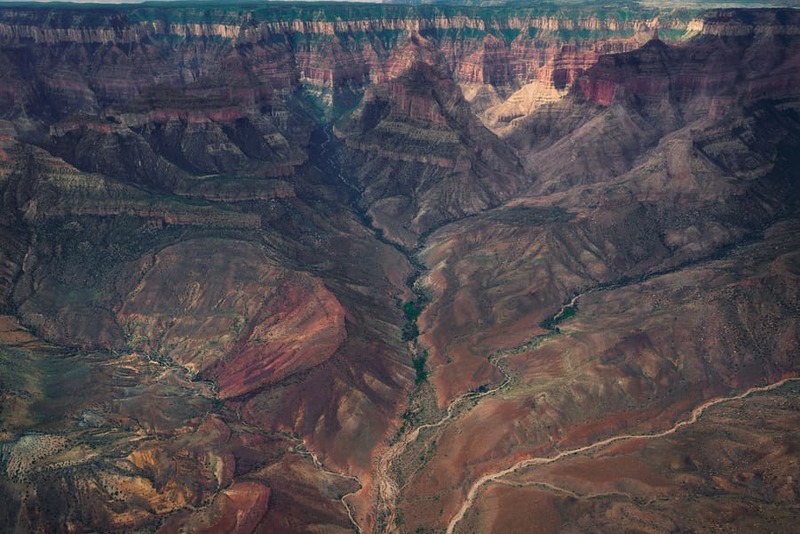 Beyond the main viewpoints, we firmly believe that if you can afford it, an airplane tour will get you the best views of the Grand Canyon while giving you an idea of its enormousness. It is also one of the best activities in the Grand Canyon for children, as they will get to enjoy a peaceful ride with unforgettable views. 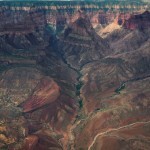 We took an airplane tour during our time spent in the Grand Canyon. 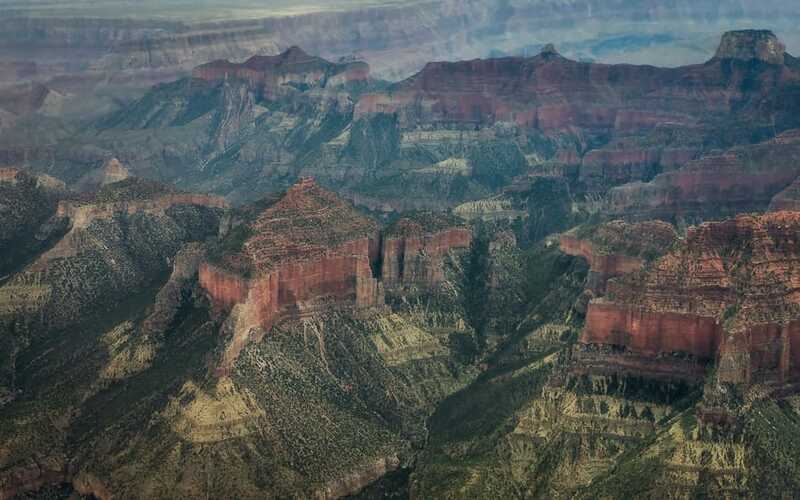 If you are torn between an airplane or a helicopter ride over the Grand Canyon, consider that an airplane flies higher and to more remote places, a better way to appreciate its dimensions while enjoying incredible views of the canyon. On the other hand, a helicopter can fly you closer to the walls of the canyon, and can even descend below the edge to approach the base. As photographers, it was an easy decision for us, but you will have to decide depending on your taste and needs. 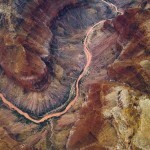 You can find the different alternatives to fly over the Grand Canyon here. We decided to take this tour, which was very well priced and completely worth it. 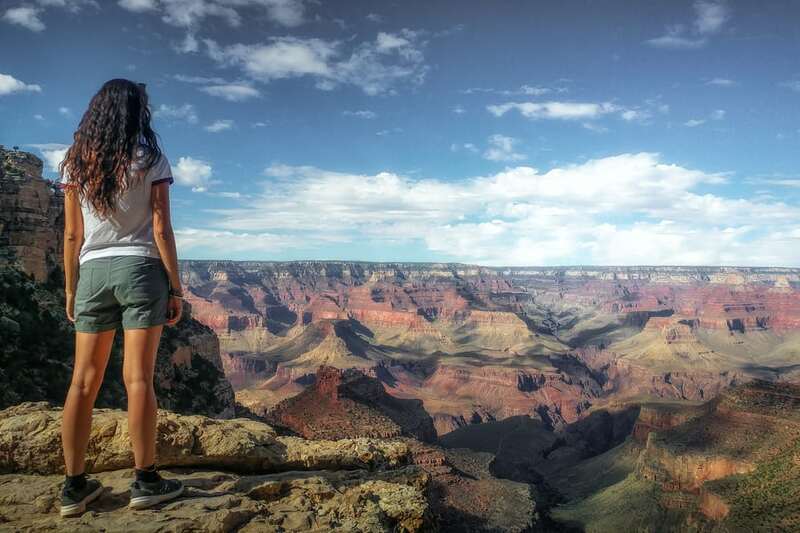 There are many different hiking trails within the Grand Canyon, some takes you on a descend to the Colorado River, while on others, you can enjoy the views from the edge or even walk through the most remote areas within the Grand Canyon National Park. If you decide to go for a simple one, some of the following routes are a few must-do in the Grand Canyon. Bright Angel Trail is, without a doubt, the most popular hiking trail in the Grand Canyon. This trail starts from the Grand Canyon Village (South Rim) which take you deep inside the canyon to the Colorado River, 4366 feet below the starting point. 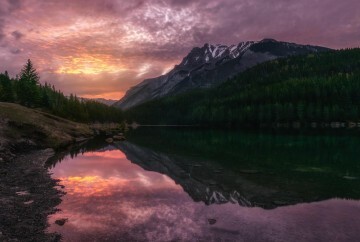 It is not recommended to do this 16-mile round trip hike within a day, especially during the summer. Many who attempt end up needing rescue which comes with significant costs. Not only do you have to consider the distance, but also high temperatures and steep uphill slope on the return trip. The park rangers’ recommendation for those who want to do a one-day trip on this trail, is to not go beyond Indian Garden (water available here year-round), cutting your hike back to 10 miles round trip. You may also find water at other rest spots such as Mile-and-Half Resthouse and Three Miles Resthouse, although not always guaranteed. 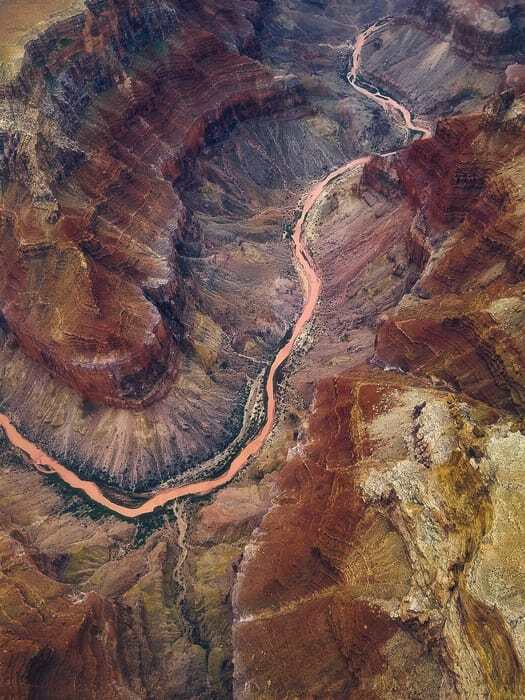 One of the best viewpoints of the Grand Canyon National Park, where we can have a closer view of the Colorado River from above is the Plateau Point, located at a 1.49-mile detour from Indian Garden. If you are planning to spend more than a day doing this route, you need to book a spot to stay at Phantom Ranch well in advance (it is assigned by lottery 15 months before your visit). A second option is getting a camping permit in one of the three campsites inside the canyon which can be requested here up to four months before your trip. Also, the trail is exposed with no water available along the way, so you will have to take enough with you. Nonetheless, this hike will reward you with even better views than Bright Angel Trail. Those who have done both usually favor South Kaibab over Bright Angel. One option for those who plan to spend more than one day, is to go downhill via South Kaibab, spend the night at the bottom of Grand Canyon, and then hike up the next day through Bright Angel. 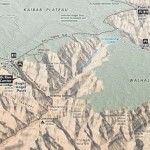 This way, you can find water and experience less elevation gain. Rim Trail is a family friendly 10.5-mile long hike with few elevation gain. It joins the Kaibab Trailhead at Hermit Rest Stop along the entire edge of the South Canyon. Without a doubt, crossing a section of this hiking route is one of the best things to do in the Grand Canyon. We did it from Mohave Point to Hopi Point, and the views were great. North Kaibab is a challenging 15-mile route (one-way) which descent to the canyon from North Rim with a 6398 feet elevation gain on return and no water supplies along the way. 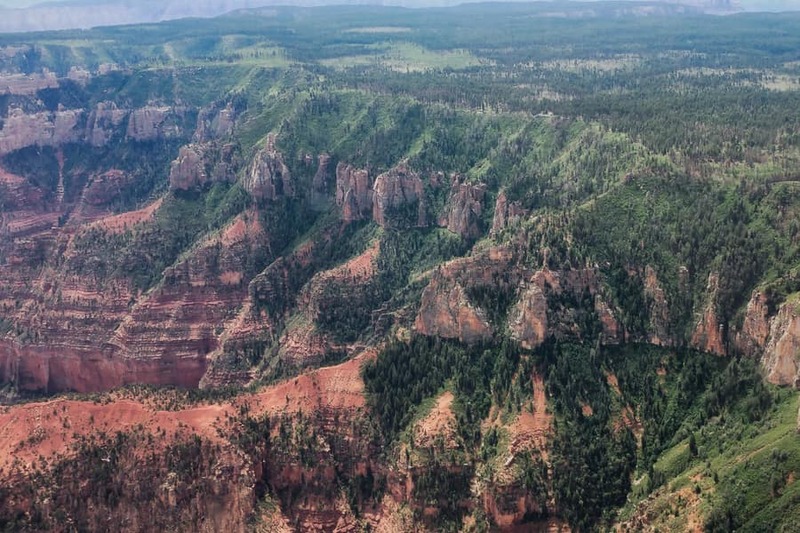 One recommendation to avoid this treacherous hike back, is to descend to the canyon on this trail and then return on one of the paths that lead to South Rim. 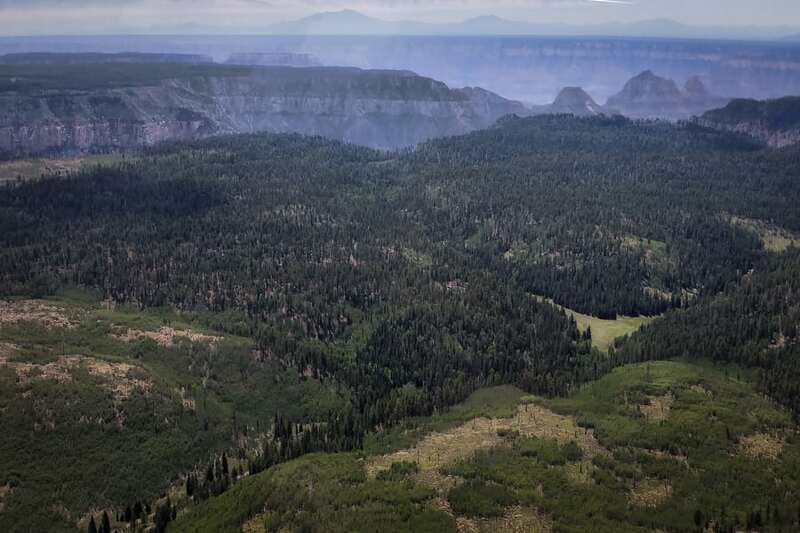 From there, you can catch the Trans-Canyon Shuttle back to North Rim. Grandview Trail, a 12.5-mile round trip route with 3280 ft of elevation gain, is part of the Desert View Drive from Grandview Point on the East Rim of the Grand Canyon. It is considered to be strenuous since it is an old road used for mining and is currently in poor condition. In addition to the activities we mentioned above, there are many other activities to do in the Grand Canyon. If you like museums, there are two exciting ones to visit within the Grand Canyon: Tusayan Ruins and Museum, and Yavapai Geology Museum. At Tusayan Ruins, you can visit the ancestral town located on the East Rim of the Grand Canyon. At Yavapai Geology Museum (located near the Grand Canyon Village visitor center), you will learn about the Canyon’s formation in geological terms. 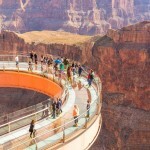 You will also find a glass-paned viewpoint with spectacular views of the Grand Canyon. 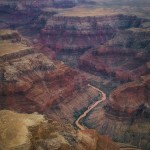 While it is an expensive, multi-day trip to go rafting in the Grand Canyon, it has to be an unforgettable experience. There are several companies who offer guided rafting tours in the Grand Canyon. One of the most popular is Oars. 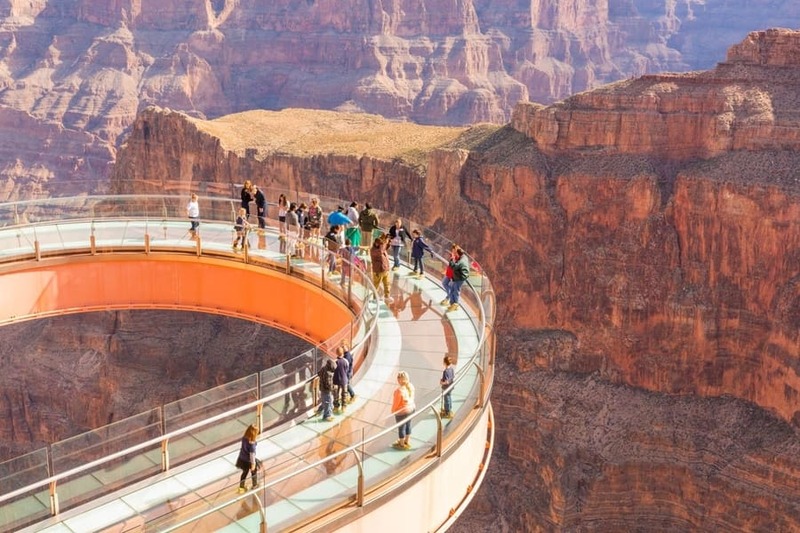 While it’s not cheap and may or may not be worth it depending, the Grand Canyon Skywalk shouldn’t be missing from our list of things to do in the Grand Canyon. This walk is located in the West Rim, and although not located within the Grand Canyon National Park, it might be an interesting option if you want to visit from Las Vegas and are short on time. We created a list with other tips for visiting the Grand Canyon that will be very useful when you prepare your visit. The best time to visit the Grand Canyon is during the spring and autumn. During the summer, temperatures in the Grand Canyon can be even dangerously high for hiking some of the routes. On the other hand, the North Rim and many South Rim trails close in the winter because of snow. The high season at Grand Canyon usually starts from June through July and August. At this time, accommodation fills quickly and it becomes tough to park, especially in Grand Canyon Village. If you only have one day to visit the Grand Canyon, don’t worry. Even with just one day, it’s enough to do the most important thing to do in the Grand Canyon: enjoy the magnitude of this natural formation. However, if you like hiking or want to try some other activities in the Grand Canyon, two or three days would be ideal. 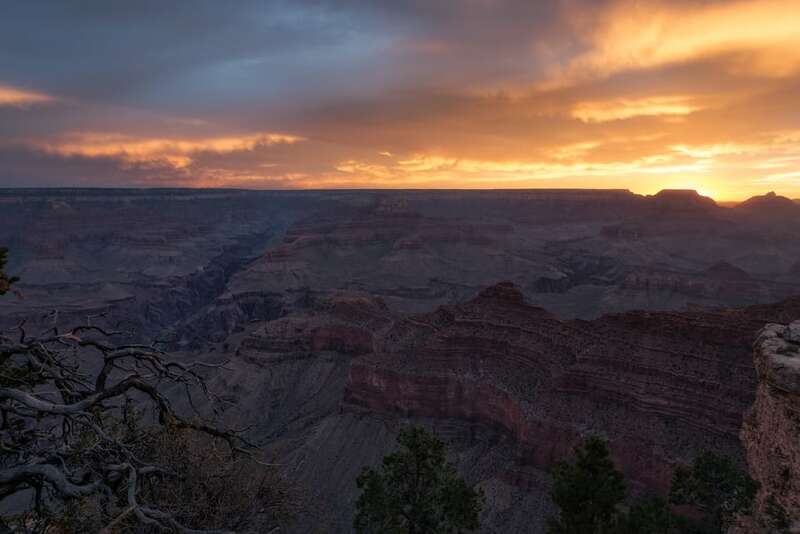 With one day in the Grand Canyon, I recommend seeing the sunrise at one of its viewpoints, take a helicopter or airplane tour, and then an evening walk along the rim, so you can enjoy the views as you look for a sunset viewing spot. If you are a hiking enthusiast, you can skip the aerial tour and walk along the rim on one of the many day hikes in the Grand Canyon. Most of the day hikes are sections of the routes described above (Bright Angel Trail, South Kaibab Trail, Hermit Trail). You can find more information and recommendation about Day hikes in the Grand Canyon here. 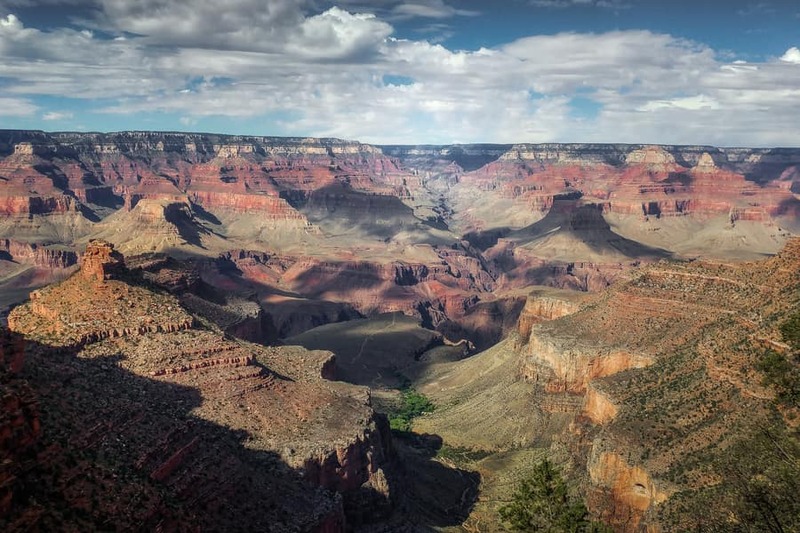 If you plan to visit the Grand Canyon in two days, I recommend doing the 1-day Grand Canyon itinerary described above and then move to another area to contemplate the Grand Canyon from another perspective the second day. 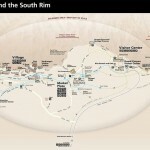 For example, visit South Rim and then East Rim, North Rim and then East Rim, or West Rim and then South Rim. 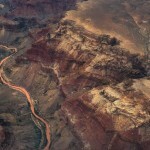 In this section, we will talk about some fun facts of the Grand Canyon. With this information, you should have everything you need to start your adventure. 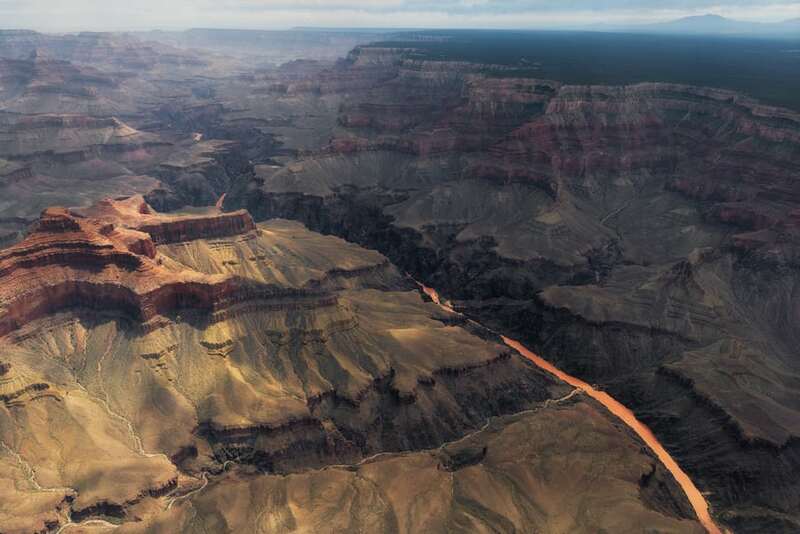 The origin of the Grand Canyon goes back to the continuous and prolonged erosion of the Colorado Plateau by the Colorado River over millions of years. This formation is another example of just how short our existence is compared to the history of our planet. Contemplating the depth of the Grand Canyon from one of its viewpoints or by flight is one of the most amazing experiences here. 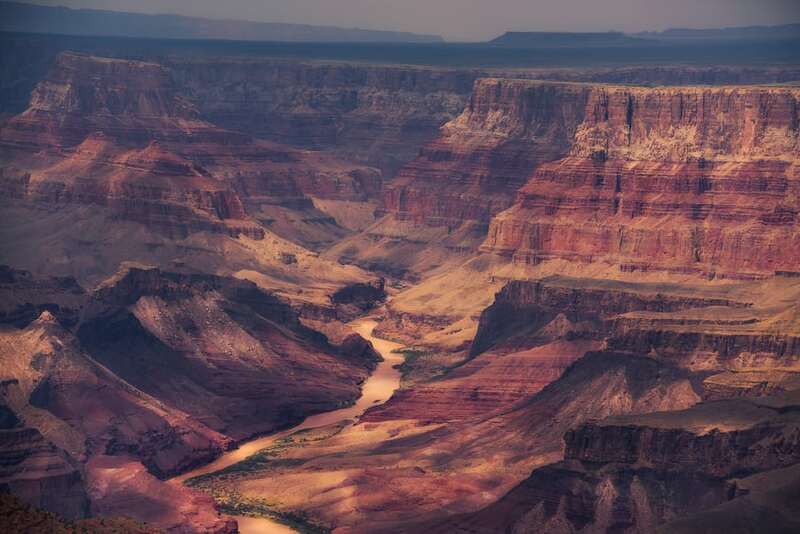 Grand Canyon is referred to as one of the seven natural wonders of the world. However, while it was one of the favorites of the 2011 contest, it was only among the 23 finalists and did not get any of the top seven positions. 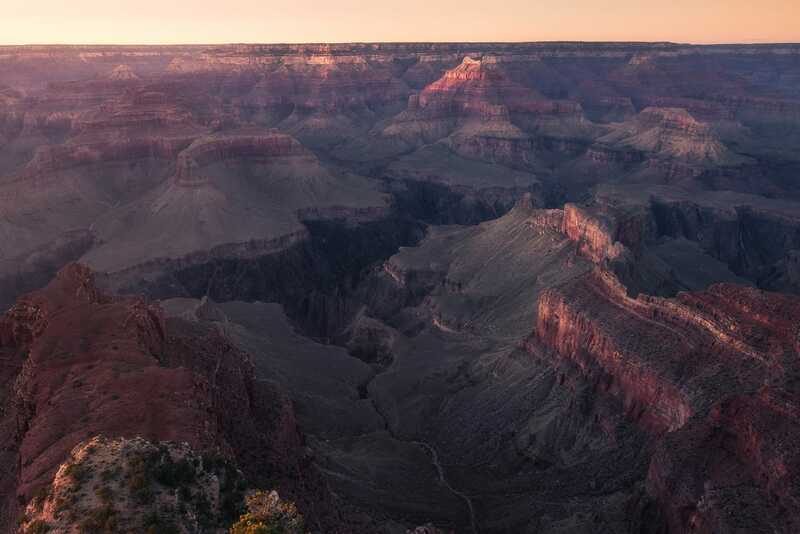 Whether or not Grand Canyon is one of the seven wonders of the world by title, there is no doubt that your visit will leave you speechless, so don’t hesitate about visiting this natural masterpiece. 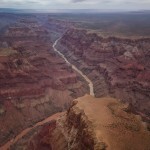 As in any place with great heights, accidents in the Grand Canyon can have fatal consequences. However, falls in the Grand Canyon are less common than people who end up needing to be rescued. 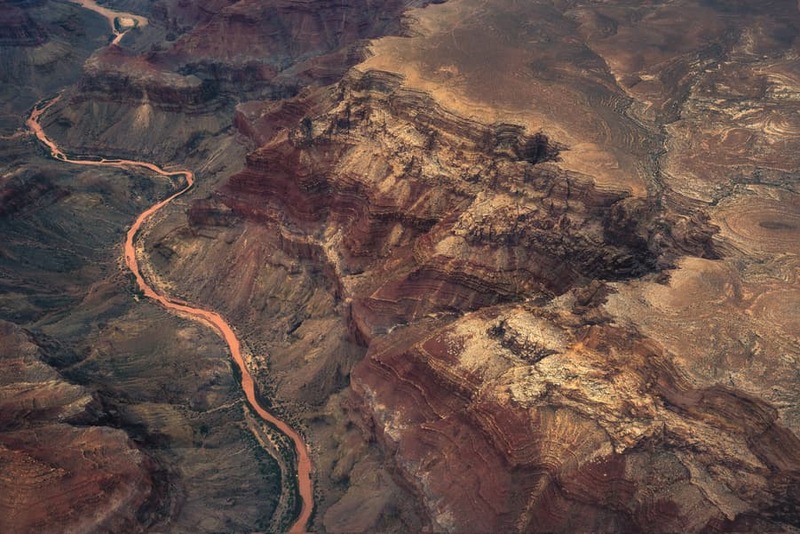 It is estimated that more than 250 people had to be rescued each year in the Grand Canyon due to dehydration, extreme fatigue, or sunstrokes on the long hikes toward the Colorado River. Healthcare in the United States is very expensive, and even if you are not going to carry out any strenuous hike, it is always highly recommended to have a good travel insurance that covers you in case of a problem. Although I always recommend buying travel insurance wherever you go, for the US, it is advisable to have an extraordinary coverage (never consider hiring anything that covers below $30,000 if you travel to the United States). In this section, you will find a list of campsites as well as the best hotels within Grand Canyon’s four main areas. If you are going to visit the Grand Canyon South Rim, note that accommodation fills up quickly here since this is the most visited area of the Grand Canyon. All hotels within the park are managed by Delaware North and Xanterra Parks & Resorts. The easiest way to book them is through their website(s). In the Grand Canyon Village, you can also camp at Mather Campground. It is recommended to book well in advance during high season. This is where we stayed during our visit. Holiday Inn Express Grand Canyon: Perfect rooms for couples, excellent quality and price. Best Western Premier Grand Canyon Squire Inn: This huge hotel has four restaurants (some offering traditional cuisine), tourist assistance to help prepare your visit, and even bowling. The Grand Hotel at the Grand Canyon: This hotel has a pool with jacuzzi and breakfast buffet. It is one of the best rated. 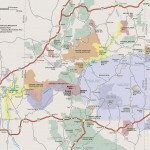 Lodging options in the Grand Canyon North Rim are somewhat scarce. Forever Resorts is the only company that manages accommodation within this part of the park. Book your room through its website. 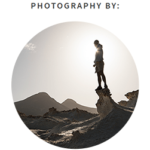 As with all our guides, we like to finish with a selection of our best photos of the Grand Canyon. We hope you like them. North Rim - Grand Canyon. United States. With this section, we would like to say goodbye (for now). 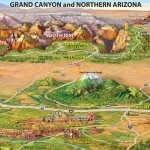 Below, you can find a Grand Canyon map with all the main facilities and points of interest. SEE YOU IN THE NEXT ARTICLE AND DO NOT HESITATE TO LEAVE US A COMMENT IF YOU NEED MORE INFORMATION ABOUT THE GRAND CANYON! 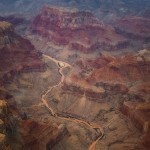 I didn’t know that an estimated 500 million tourists visit the grand canyon yearly. My husband and I have been dying to go and want to find the best tour for us. I’ll have to do some research and find an amazing tour that we will love.